ICTer2015 is technically co-sponsored by IEEE Sri Lanka Section and is the successor to the seminal International Information Technology Conference (IITC) held in Sri Lanka since 1998. It provides an ideal platform to the researchers and practitioners alike to showcase research and development activities carried out in Computer Science and Information Communication Technology domains. Proceedings of ICTer2015 will be published in both book form and on IEEE Explore. Selected papers will be invited for publication in the special issue of ICTer Journal (journal.icter.org). 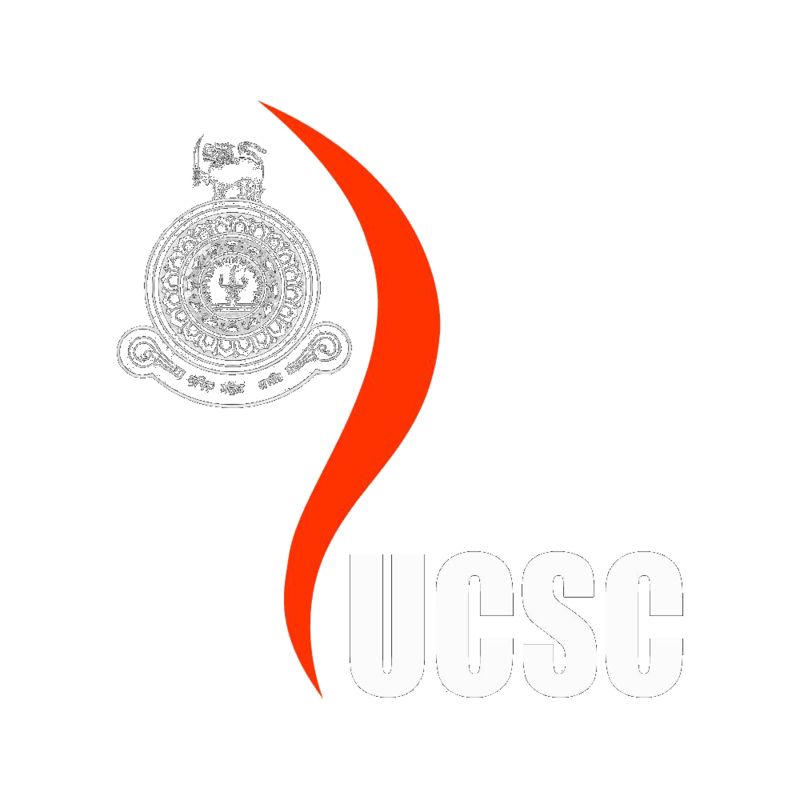 The main conference will take place on 24th Monday and 25th Tuesday August 2015 at BMICH, Colombo in conjunction with the 8th International Conference on Ubi-Media Computing (UMEDIA2015). In addition to the presentation of the selected papers, several keynote addresses by leading personalities in the IT world will be made. An Adverse Drug Reaction (ADR) is an unintended, harmful reaction resulting from an involvement of a medicinal product. Currently it has become the most common cause of deaths in the world, despite of post marketing drug surveillance. Expensive clinical trials do not uncover all the ADRs and also cumbersome for consumers and healthcare professionals. The majority of existing methods rely on patients' spontaneous self-reports. But these reporting systems are voluntary in most countries. The recent explosion of micro blogging platforms such as Twitter presents a new information source to discover ADRs. It has an enormous number of users who are frequently sharing and discussing their personal experiences, opinions, thoughts, and random details of their lives. In this study, we developed a system to automatically extract ADRs from Twitter messages utilizing Natural Language Processing (NLP) techniques. First, we proposed a novel method to filter out all the drug related messages including misspelled drug names from the Twitter data stream. Dictionary based approaches were used to identify medical terminology, emoticons and slang words. The interpretation of “internet language” was also address in this research. We evaluated our system on a manually annotated set of Twitter messages. The best classifier for the classification of ADR reached an accuracy of 68% with F-measure of 69%. The results suggest that there is potential for extracting ADR related information from Twitter messages to support pharmacovigilance. “Social Media Networking (SMN)” is one of most popular web concepts mainly used for interaction and entertainment purposes. Today world leading business organizations apply SMN for business activities as a value added service. Purpose of the research project is to identify SMN trends which are popular among Sri Lankan business environment and to identify benefits those organizations gain from it. Also to evaluate the value of using SMN Trends in Sri Lankan business environment and to encourage conservative Sri Lankan businesses to use SMN trends as value added services. This is an exploratory study which leads to pattern identification, a model development and hypothesizes formulation. Thus, data gathered from three samples; Purely, Partially and None SMN Based Organizations using stratified random sampling technique. For data analysis cross tabulation, chi square test, frequency and descriptive statistical techniques were used. Results conclude organizations’ SMN Usage Pattern is directly effecting to its Business success. Higher percentage of successful businesses is Partially SMN Based Organizations which use SMN as a supporting service. Research results illustrates there is 10% of SMN Impact to the total Revenue Impact factors and 25% of SMN Impact to SMN Using Activities in Partially SMN Based Organizations. Mobile ad hoc networks (MANETs) enable ubiquitous computing capability with wide use of smart mobile devices and applications. The development and standardization of networking protocols for MANETs started in late 1990's with first standards from IEEE becoming available in draft form in 2006. However, robust and light weight protocols are yet to be implemented to support network services such as multihop communication in order for MANETs to operate comparably with its wired counterpart. The latest IEEE 802.11 standard released in 2012 captures the concept of multihop MANETs under Wireless Mesh Networks and proposes Hybrid Wireless Mesh Protocol (HWMP) as the default multihop path selection protocol. While there have been previous studies on the performance of HWMP, they have not addressed operating scenario of mass mobility (to model human user mobility), non availability of root nodes (to model absence of infrastructure support) and a wide span of node densities (to model different application scenarios). This paper analyses the scalability of HWMP in a MANET of IEEE 802.11 standard wireless mesh stations that move at human walking speeds. The end-to-end delay, data packet delivery ratio and path selection control overhead are evaluated in the presence of random waypoint and mass mobility models for increasing node densities. The results of simulations show that there are no significant variations in any of the above important performance metrics among static, random waypoint mobility and mass mobility models. Furthermore, HWMP shows almost a linear path selection control overhead profile for increasing node densities while the packet delivery ratio and the end-to-end delay reaches a steady level as node density increases up to about 250 nodes. Sentiment analysis on movie reviews is a topic of interest for artists and businessmen alike for the purpose of gauging the reception of an artwork or to understand the trends in the market for the benefit of future productions. In this study we analysed a set of reviews from Rotten Tomatoes using SAFS3, a novel algorithm that has an accuracy of 53.6%. SAFS3 algorithm outperforms the benchmark for this context as well as the set of generic machine learning algorithms commonly used for tasks of this nature. Presently the most popular and widely-used IT-driven global healthcare standard is Health Level 7 (HL7). However, it is fact that HL7 v3 the most current version is difficult to implement and maintain. Hence there is a need to abridge the verbose HL7 v3 message structure representations whilst strictly maintaining their semantic nuance and flavour. The resultant economic structures named Green Messages have to be overarching and truly universal, affording and facilitating International Interoperability. Aligned to the greening process are more efficient procedures for secured, efficacious exchange of data and information "in the wire" lending to overall efficiency. This paper outlines conclusive research made on all greening fronts, highlighting enhancements in International Interoperability and positive movements in the specified ten archaic system Performance Indicators (PIs). Among many papers which have been published for many years more research has been done on software outsourcing risk management and mitigation; but barriers which affects risk assessment has been left aside creating a void. With reference to existing literature six factors were identified and this paper will validate its applicability and operational ability in the domestic software industry. Complexity of the undertaken project, Contractual complications between the vendor and the service provider, project execution mechanisms, financial models adopted, legal framework of the country and the organizational cultures were these main six components which wre subjected to the study. Study is based on all the SLASSCOM registered companies in Sri Lanka which are involved in the software operational outsourcing business. A multiprogramming operating system allows, several processes to compete for a finite number of resources, and some of the processes may wait for the resources forever because the resources they have requested are held by other waiting processes which makes a deadlock situation in a computer system. There are three basic approaches that can be executed to handle deadlocks in the system. Banker’s algorithm is one of the deadlock avoidance methods which can be used to determine whether a deadlock occurs by executing the processes with the given limited number of resources. This paper presents the software tool which is developed for both classroom and independent study of deadlock avoidance using Banker’s algorithm. The tool shows all steps from the place we set the number of processes, number of resources to the final proof of the occurrence of deadlock by finding the safe sequence. Medium-scale clouds are being widely used in enterprises and universities. While, these clouds have a relatively small pool of resources, diversity of those resources, users, and their needs are still comparable with public clouds. We present a resource and policy aware Virtual Machine (VM) scheduling solution for such medium-scale clouds. The proposed scheduler enables the deployment of VMs based on a predefined set of policies and user priorities, while being aware of the resource utilization of the cloud. This is achieved by periodically polling resource statistics from the cloud nodes, enforcing a set of predefined policies, taking into account the priority levels of users and VM requests, and then scaling, migrating, and preempting VMs based on available resources and policies. Such resource and policy aware scheduling improves resource request acceptance rate and increases the utilization of cloud resources. A proof of concept solution is implemented using Apache CloudStack and validated against a carefully crafted set of resource requests. Traffic congestion continues to remain a critical problem in most urban cities around the world, especially in developing countries. This result in increased delays, driver stress, fuel consumption, air pollution and road accidents usually with significant socio economic impacts and thus impeding sustainable development. Solutions to this problem have evolved over the years. Initially, the approach was based on the construction of alternative road infrastructure with increased capacity. However, available funds and territorial limitations have proved to be too formidable for continuing the implementation of such solutions. In parallel, traffic lights and roundabouts were introduced in congested intersections, but the growth trends of urban cities now demand more advanced and efficient alternative measures to simply augmenting the existing infrastructure. This has paved way to numerous unconventional approaches to be explored by the research community on the field of traffic. Over the past decade, there has been a rise in the use of multi-agent systems in modelling and enhancing complex traffic scenarios with the aim of improving traffic flow to eliminate or reduce congestion. Finding the optimal staging of traffic lights and determining the optimal traffic light cycles is one of the crucial tasks involved in modelling modern traffic scenarios. In this paper, we propose two distinct approaches to find optimal traffic light cycles using Multi-agent Systems (MAS) and Swarm Intelligence (SI) and compare the efficiency of these models under different traffic scenarios. The solutions obtained are simulated using SUMO (Simulation of Urban MObility), a well-known microscopic traffic simulator. We have investigated both approaches with two large and heterogeneous metropolitan areas with hundreds of traffic lights located in the cities of Colombo in Sri Lanka and Chennai in India, and our research solutions are shown to obtain optimal traffic light cycles in both scenarios. In comparison with explicitly predefined cycle programs (using SUMO’s default traffic light cycle generation algorithm), our solutions achieved quantitative improvements for the two main objectives: reducing the waiting time and the journey time of vehicles and qualitatively improving smooth traffic flow over the regions. Last few decades the landuse pattern has been changed in Matara District in Sri Lanka due to the influence of both natural and anthropogenic hazard impacts. These hazards have caused the interruption for social, economic and the environmental sectors in this area. Since the comprehensive field surveys are highly expensive, time consuming and requiring more human power the remote sensing satellite images can be used to map the changing pattern of landuse types over a large period of time. This study focuses on how far remote sensing data give the information on landuse pattern change as an effective information and communication technology in collaboration with GIS. The Medium resolution Lansdsat satellite images were used in this study because they are freely and readily available therein cost effective and highly efficient. The ground features have been extracted from the images in 1990, 1993, 2001, 2003, 2005, 2009 and 2014 respectively. Water body has been extracted using NIR band by using single band classification method while the vegetation cover was extracted by using Normalized Difference Vegetation Index (NDVI). Multiband image classification was also implemented for each year using Maximum Likelihood Classification. According to the results, the landuse pattern has been changed over the last 24 years in a significant level. The accuracy of the maximum likelihood classification is 84.43%. E-government is a subject which requires a great amount of local knowledge in order to implement successfully. An E-government model which has been successfully implemented in another country may not be directly applicable in to a Sri Lankan environment without applying the required adjustments. Since e-government efforts are leading to socio economic transformation, great resistance towards such initiatives can be seen from participants. In the Sri Lankan context locally generated knowledge on e-government field is lacking, which has resulted in slower progress in local e-government developments. In order to address the above void, this research has built a model with the help of previous researches which consists of six variables. During the research the importance of each of those variables towards the sustainable development of Sri Lankan e-government capabilities will be checked. Optical character recognition (OCR) is one of the important research areas in image processing and pattern recognition. OCR for printed Tamil text is considered as a challenging problem due to the large number of (i.e., 247) characters with complicated structures and, similarity between characters as well as different font styles. This paper proposes a novel approach for multiclass classification to recognise Tamil characters using of binary support vector machines (SVMs) organised in a hybrid decision tree. The proposed decision tree is a binary rooted directed acyclic graph (DAG) which is succeeded by unbalanced decision trees (UDT). DAG implements OVO-based SVMs whereas UDT implements OVA-based SVMs. Each node of the hybrid decision tree exploits optimal feature subset in classifying the Tamil characters. The features used by the decision tree are basic, density, histogram of oriented gradients (HOG) and transition. Experiments have been carried out with a dataset of 12400 samples and the recognition rate observed is 98.80% with the hybrid approach of DAG and UDT SVMs using RBF kernel. Assessment of knowledge is considered as one of the most important aspect of the learning process. Despite its development over decades the underlying problem of ‘How best to assess learning?’ still remains. In the field of education, essay questions are considered as the most appropriate question types for assessment compared to closed questions to evaluate the knowledge of students. However evaluation of answers of essay type questions consumes a long time, effort and also includes unavoidable human errors. Therefore the development of an automated essay assessment system is beneficial due to those reasons. This paper presents a methodology to translate discrete Sinhala speech to Sinhala Unicode text in real time. Initially, the Hidden Markov Model and the associated Hidden Markov Toolkit (HTK) is used as the speech recognizer. While real time decoding is obtained bythe Julius decoder a three-states Bakis HMM topology is used to build the acoustic model. The normalized Mel frequency cepstral coefficients with zeroth coefficient as feature vector is used to recognize speech. Although a single person is used during the training session, an average accuracy of 95% is obtained for both speaker dependent and speaker independent speech recognition. Performance evaluation shows the capabilities of the proposed system to convert discrete Sinhala speech to Sinhala Unicode in both quiet and noisy environments. Many diseases, such as cardiovascular and dengue fever, require constant monitoring of certain health parameters of patients which sometimes, is disturbing to patients who requires plenty of rest. In this paper, we present a non-invasive technique based on wireless sensor networks to monitor the temperature, blood pressure and the pulse rate automatically without having to disturb a resting patient. The wireless sensor node captures these vital health parameters and then sends them to a smart phone via Bluetooth. The smart phone handles all the processing tasks and produces systolic and diastolic heart rates and gives alerts whenever an abnormal condition occurs. The prototype device managed to perform at 99.76 %, 88.40% and 92.70% accuracy levels on monitoring the temperature, blood pressure and pulse rate, respectively. The system, designed using low-cost peripherals with minimal electronic devices, can be used to monitor patients even from a remote location via wireless technology. Hiding messages for various security purposes have become high interesting topic on now a day. Encryption provides the ability of data hiding. With the development of the technology, people tend to figure out a method which is not only capable in hiding a message, but also capable in hiding the existence of the message.Generally steganography advantages are not use among industry and students even though it is widely discussing topic in modern information world. There are few algorithms/systems are developed to embed a message to an Audio files. Steganography of audio signals is more challenging compared to the steganography of images or video sequences. The existing systems require a considerable time to embed a small message and some are not freeware. It was necessary to revise the proposed program could secret data extracted directly from the audio. The major aim of this implementation is able to hide text message in audio files and retrieve hidden text message. This system is called AudiSteg v1.0. The system is supported AES encryption and tolerates both wave and MP3 files. The aim of this work was the creation of a free, openly available, bugs free software tool with additional features which are new to the area. In future, the system should upgrade with latest cryptographic involvement and increase the message capacity and other file types rather than text files. Online learning has become involved in assisting learners to conduct their academic work irrespective of the number of participants and the distance. Therefore the institutions try to provide the learning experience for the online learners which are similar to classroom learning. In such scenario both individual and group based tasks are given for the online learners where collaborative learning has become a part of it to promote the team building and group involvements of the learners. Since the teacher and learner do not interact each other face to face as the traditional learning, it is important to identify whether the expected learning outcomes are achieved through collaborative learning. Otherwise the use of collaborative learning cannot be achieved by its users. In order to identify the effectiveness collaborative online learning, the user experiences can be used. The study focused on reviewing the literature to explore the experiences of users in using collaborative learning. The work presents a comprehensive automated methodology for recognition of temporally progressing hand gestures. Motion measurements associated with hand position, orientation and finger bending are considered as time-series data sets and utilized for the recognition process. In addressing the hand gesture recognition problem in its multi-feature nature a novel methodology for discovering relevant features for each gesture class is proposed. The two staged comparison approach with the proposed stratification of gesture classes based on their relevant features enabled the methodology to handle the available large number of gesture classes. Gesture comparison is based on a subspace produced by Fisher Linear Discriminant Analysis (FLDA) of temporal features in a manner that rhythmic differences between gesture trials are minimized. Results of the overall methodology have been elaborated for available AUSLAN hand-gesture datasets. Sinhala is the language of the Sinhalese. Most Sinhala language characters have a complex shape. As a result many writing styles are used in Sinhala writing which makes recognition difficult. In this paper, a contour tracing technique is applied for isolated Sinhala handwritten character recognition. To improve the recognition rate, distance profiles have been incorporated. The proposed technique was tested for 35 commonly used characters in the Sinhala alphabet. Handwritten samples are collected from three different writers. A maximum recognition rate of 100% and a minimum was 9.1% was achieved with this technique. Recently developed meta-heuristic algorithms such as firefly algorithm, bat algorithm, particle swarm optimization and harmony search are now becoming popular for providing nearly accurate solutions for tough optimization problems. This paper addresses the problem of finding all roots of a given univariate nonlinear equation with real and complex roots using a modified firefly algorithm (MOD FA). The appropriate modifications are applied to the existing firefly algorithm (FA) by introducing an archive. Better fireflies are noted and stored in the archive during the iteration process and then their positions are replaced by new random ones. A comparison was carried with the original firefly algorithm and also with the genetic algorithm (GA) which has a similar behaviour to the firefly algorithm. Computer simulations show that the proposed firefly algorithm performs well in solving nonlinear equations with real and complex roots within a specified region. The suggested method can be further extended to solve a given system of nonlinear equations. Microblogging platforms such as Twitter have become a primary medium for people to share their experiences and opinions on a broad range of topics. Because posts on Twitter are publicly viewable by default, Twitter can be used to get up-to-date information on events like natural disasters, disease outbreaks or sports events. The abundance of tweets containing user opinions and their sentiments towards a topic necessitates the need of extracting newsworthy tweets from a large stream of tweets on a single topic. The goal of this research is to build a system capable of generating a summary of long running events using only a stream of tweets related to the particular event. In this paper we address the constraints in manually annotation of large corpora with the instroduction of a novel heuristic based annotation scheme to generate training dataset for the system. We use a manually annotated corpora of tweets to benchmark the classification performance of objectivity detection on real-world tweets. Our classifier could achieve an F1-score of 80% on a manually annotated gold standard dataset. This paper describes research on Reconfigurable ALU Optimization (RALU). The RALU is a soft processor and it has the capability of changing Arithmetic and Logic Unit's (ALU's) structure dynamically based on the instruction fed. In the instruction execution phase the processor first detects the instructions and changes its ALU and then executes the instruction. Therefore the instruction is executed with optimum performance and resource utilisation. Due to the high uncertainty involved in weather forecasting, more accurate methods need to be explored. In this paper a novel approach based on the cloud shape stability to predict the arrival of South-West monsoon is proposed. The cloud shape stability which is determined by the pixel orientation based on the neighbourhood of cloud images begins to drop in April-May and remains in that low level in subsequent months of peak monsoon period (May- September) in all three years 2012, 2013 & 2014 considered in this research. The cloud cover which is determined by the brightness of the pixel starts to go up in the same period and remains in that high level in the same monsoon peak period. When the seven day moving average cloud shape life time is plotted for the months April, May & June for all three years, a bell shaped gradual increase and decrease phenomenon can be observed for late May and early June. Moreover, after decrease of the life time, no momentous life time increase or fluctuation is observed until the end of June. The above decrease happens due to the fact that, the monsoon onset week is determined right after the highest point of that bell shape. Therefore, probable days or a week of the SW monsoon onset can accurately be confirmed as May 14 - May 20, May 26 – June 1 & May 16 –May 22 in the years 2012, 2013 & 2014 respectively according to the above phenomenon. The proposed method can be adopted to predict the arrival of S-W monsoon more accurately in the future. Security analysts implement various security mechanisms to protect systems from attackers. Even though these mechanisms try to secure systems, a talented attacker may use these same techniques to launch a sophisticated attack. This paper discuss about such an attack called as user account Denial of Service (DoS) where an attacker uses user account lockout features of the application to lockout all user accounts causing an enterprise wide DoS. The attack has being simulated using a stealthy attack mechanism called as Advanced Persistent Threats (APT) using a XMPP based botnet. Through the simulation, researchers discuss about the patterns associated with the attack which can be used to detect the attack in real time and how the attack can be prevented from the perspective of developers, system engineers and security analysts. One of the most challenging problems faced by crime analysts is identifying sets of crimes committed by the same individual or group. Amount of records piling up daily has made it cumbersome to manually process to identify the linking crimes. These Crime series’ possess certain attributes that are characteristic of the criminal(s) involved in them, which are useful in defining their modus operandi (MO). After a careful study in the grave crime category of House breaking and Theft in Sri Lanka, we have identified certain MO attributes which we have used to collect from past crime scene data from police records. Then we have explored whether it is possible to group suspects who have similar MO patterns through a machine learning approach and give a short list for a new crime from the existing data. The evaluation of the research presented an accuracy above 75% which proved that Machine Learning is capable of short listing criminals based on their Modus Operandi features. Coronary Cine- Angiogram (CCA) based subjective assessment of vascular malfunction is a preliminary diagnostic method in Cardiac clinical procedures. Even though there are many other medical image modalities available, improving the CCA method to objectively detect and assess the stenosis is a cost effective approach for stenosis detection and assessment. Segmentation of Coronary Arteries (CA) is a basic and challenging area in such an endeavour. Hence, in this study we proposed a segmentation method to extract the major areas of CA based on Frangi’s vessel enhancement filter and region growing segmentation method called flood fill. Experimental results of our proposed segmentation method have clearly proven its ability to extract the main CA almost completely. Moreover this proposed segmentation method possesses 86.27% average segmentation accuracy. Further, we have detected the vessel path lines of the segmented frames using a thinning algorithm. The results obtained from this proposed segmentation method can be further enhanced to determine the functional severity of the CA and this study lays a foundation to improve the Coronary Angiogram image modality to do objective diagnosis of stenosis in future. In the present context of human computer interaction, world has achieved tremendous progress in the field of Natural Language Processing (NLP) applications. The availability of lexical resources is vital to many natural language processing in the field of computation linguistics. But only few languages in the world have the advantage of having enough lexical resources. Though Sinhala language has a long history, Natural Language Processing and computational linguistic aided development of the language is far behind compared with other languages. Researches on NLP for Sinhala language can be pushed by creation of required lexical resources and tools. In this paper we present our research work that was carried out for contributing to NLP based development of the language by developing a part of speech tagger for Sinhala language. The tagger we developed shows over 91% of an accuracy, and the tagger is available as RESTFul web service on the Internet that is freely accessible to the public. After several unsuccessful attempts at building out-of-the-box optical character recognition for Indic language scripts, we have successfully developed training regimes for Tamil using the Tesseract engine and our experience with it for another Indic language, Sinhala. We describe in detail our training regime, which results in a performance improvement of 12.5% over the default Tamil module shipped with Tesseract on a set of ancient Tamil documents, which are part of a Tamil text digitization initiatives in Sri Lanka. Smartphones and related mobile computing device usage is increasing exponentially. People see their Smartphones as being more personal than any other device, hence they tend to store sensitive information such as credit card details, user credentials on these devices. One of the main shortcomings of technology for these devices is security, due to the inherent mobile nature of these devices, the security controls that apply to PC’s aren't suitable for these types of devices. Malware targeting mobile devices are very complex, they tend to exploit a number of shortcomings of these devices. We analyze the current security trends for smartphones and propose a location context aware security mechanism, which takes into account the connectivity issues and the limited processing capabilities of mobile devices. A prototype implementation is provided for Android and the results of this implementation is presented. Localisation of software has a lot of potential as now all the software vendors like to have their software in different languages. However, the language localisation, where the strings in interface are translated to another language, is a rigorous and time consuming task. This research proposes a methodology and identifies suitable parameters using which a Statistical Machine Translation aided localisation system can be built. A pilot system is also successfully built with a RESTful API to do the software localisation, this system is outlined in this paper. The usual Statistical Machine Translation process is adapted for this system. Technical data are collected from various open source software language resource files and then they are cleaned, tokenised and the system is trained with that. Another system is trained with a generic data apart from the collected technical data. System is also trained with 2-gram, 3-gram and 4-gram language models. And using two different language modelling tools namely KenLM and IRSTLM. Then the results were evaluated using BLEU algorithm. Appropriate parameters for setting up Statistical Machine Translation system for localisation were identified. The results show that it would be enough to train a system with 3-gram, and the modified BLEU algorithm will give better understanding of the results compare to the original implementation. Further, among KenLM and IRSTM, KenLM performs better in terms of accuracy of results and speed of execution. This paper aims to present a method of implementing a better visual object recognition system with the inspiration gained from the processes of biological systems. Neural networks are closely related to biological systems in how they resemble the vertebra nervous system to perform classification tasks. However in the success of neural networks, determining the configuration and the architecture of neural network plays a major role. Biological systems have evolved to their current state of cognition through natural evolution. Therefore to attain an optimized neural network architecture for object recognition, the proposed system uses a genetic algorithm that simulates generations of neural network populations. A distributed parallel processing method is implemented on the system to undertake the enormous processing overhead required. Please kindly note that the document upoloaded is an extended abstract. This research introduced a new processing model which consist of an evolving memory produced as a reult of a continuous process by imitating the processing taken place in the human mind. For this work, the theoretical base is from the 24-causal relations in Buddhist theory of mind. A set of mapping has been drawn between the theoretical concepts and sub processes in new processing models. Based on this processing model, a Nondeterministic Turing Machine was produced and a boolean expression was dervied. Hence the satisfiability of this model was proved and validated. For the demonstration purpose this model is implemented using the programming languages C and CLIPS. There have been many studies addressed towards various sections in the arena of Android platform. However conducting a digital forensics investigation using Open Source tools in Android platform is still a challenging task. As of the date of this study, there is no standard Open Source or non-commercial tool available to support the entire life cycle of the digital forensics investigation methodology. In order to bridge this gap in open source forensics tool for Android platform, the work implemented a user friendly, feature rich, open source, mobile forensic framework for Android platform that supports all phases of a full digital forensic investigation process. Keywords- Electronic Money, eMoney, Legislation, Regulations. “Virtual Money” has been an interest domain for many scholars and financial institutions especially during the last three decades. Different denominations printed on same sized papers of the same material can also be argued as virtual as the raw paper of the same size does not carry any face value. However, “Electronic Money” which is also known as eMoney or Digital Money is clearly segregated by the definition from other substitute products with electronic usage of money. Stored value or pre-paid products in which the monitory value is stored on an electronic device in the consumer’s possession are considered as electronic money products. Hence, typical debit cards, credits cards, mobile banking and Internet banking are omitted from this category. Sri Lanka as an emerging market, despite all efforts on electronic payments, currency in circulation has increased by 22.7% to Rs.416.9 billion as at the end of the fourth quarter of 2014 from Rs.339.8 billion as at the end of the same period of 2013. This is more than 62% of a growth compared to the currency in circulation as at 2010 which was Rs.256 billion. Even cheque circulation has grown from 11.3 million cheques in 2010 to 12.2 million cheques in 2014 during the last quarter. Hence, it would be difficult to conclude that physical cash usage or cheque circulation is declining. However, it is pertinent to note that the electronic modes of payments and transactions have also significantly improved. Number of Sri Lanka Interbank Payments (SLIPS) has increased by 87.57% from 2.9 million transactions to 5.5 million transactions from the fourth quarter of 2010 to that of 2014. Number of debit cards has grown by 95% from 6.96 million to 13.57 million during last four years. Similarly, while mobile based payments have grown by 415% from 49,881 to 256,846 transactions, Internet based payments have grown by 141% from 1,183,571 to 2,854,515 transactions during the same period. Therefore, electronic based payments are growing faster in the country and sustainable electronic money solutions will have a greater potential for adoption and enhance the financial inclusion. Today, not only financial institutions but also mobile network operators and other private and public sector institutions possess interest. There are few eMoney products in Sri Lanka at this moment of time. Dialog “eZ Cash” and Mobitel “mCash” are examples of mobile based eMoney products. “eZCash” is the first in the world to have multiple mobile network operators in the same eco system and currently has close to 2 million subscribers and 16,500 merchants. Subscribers are able to deposit money, withdraw money, send money, pay utility bills, insurance premiums and even pay for goods and services at merchant points. HNB One of Hatton National Bank and Dialog Touch Card are leading examples for card based electronic money products. Together with its increasing popularity earned among the consumers as well as merchants, electronic money products have also raised a number of issues to central bank, supervisory authorities and other key stakeholders due to various regulatory and governance implications. There are no specific regulations or legislation setup for electronic money in Sri Lanka. However, current electronic money operations are mainly governed by Mobile Payments Guidelines No. 1 of 2011 for the Bank-led Mobile Payment Services and Mobile Payments Guidelines No. 2 of 2011 for Custodian Account Based Mobile Payment Services. Furthermore, the operation is falling under several other regulations including Payment Cards Regulations No.1 of 2009 under Payment and Settlement Systems Act No. 28 of 2005, Electronic Transactions Act, No. 19 of 2006, Payment and Settlement Systems Act No. 28 of 2005, Payment Devices Frauds Act, No. 30 of 2006, Financial Transactions Reporting Act No. 6 of 2006, Credit Card Guidelines No: 01/2010 and Banking Act Direction No. 07 of 2012. Considering above mentioned and various other operational aspects, Sri Lanka needs to develop specific legislations and directions focusing on electronic money. A thorough analysis is to identify gaps of the existing regulation, compare international standards and build specific regulations for Sri Lankan eMoney Operations. We present a cloud-based vehicular data acquisition and analytics system for real-time driver behavior monitoring, trip analysis, and vehicle diagnostic. Our system consists of an On Board Diagnostics (OBD) port to Bluetooth dongle, a mobile app running on a smart phone, and a cloud-based backend. We use a Complex Event Processor (CEP) at both the smart phone and the backend to detect and notify unsafe and anomalous events. For example, CEP engine at the smart phone can alert the driver about rising coolant temperature and rapid fuel drops. It also provides a trip log and filter out what messages to be send to the backend, saving both the bandwidth and power. CEP on the cloud detects reckless driving in real time based on the sensor data provided through OBD. Historical data is also used by the backend CEP engine to detect driving anomalies and impeding sensor failure prediction. The mobile app visualize both real time data from sensors and alerts. A web-based interface is provided to access the backend information. We have tested the system on actual vehicles and shown that the computing, bandwidth, and power consumption of the smart phone is reasonable. App is currently available in Google Play. obtain promising results about the effectiveness of the generated queries from our proposed approach and performance of the approach. This is an ongoing research investigating the use of health information technologies (HIT) to improve clinical decision-making processes. Effective and timely clinical decision-making can lead to positive improvements in patient’s health outcome. The primary hypothesis of this research is that a Practice-Based Evidence (PBE) approach by utilisation of Electronic Health Records (EHR), improves clinical decision-making capabilities of healthcare professionals. This study therefore looks to answer the following research questions. (1) What is the current practice by healthcare professionals when making clinical decisions? (2) What limits the ability to make well-informed clinical decisions? and (3) How EHR and PBE assisting improvements to the clinical decision-making capabilities? Patient care has become complex and complicated, especially for patients with co-morbidities such as diabetes, hypertension or asthma. Progressively, Evidence-Based Practice (EBP) has been the key paradigm in clinical care, assisting doctors and clinicians in making informed decisions through the use of clinical evidence and individual clinical expertise. While EPB results in a safer, more consistent and more cost-effective clinical practice, EBP lacks applicability to real world clinical settings. Enquiries on EBP being “valid” and “reliable” were raised as evidences used in EBP are outcomes from systematic research such as randomised controlled trials (RCT) where considerable limitations have been highlighted. For example, strict patient selection criteria restrict the amount of data available for analysis, making it insufficient to be useful when making precise estimation of treatment effects. This same criterion may also exclude group of patients with co-morbidities, thus RCT findings are not an accurate reflection of the real world clinical scenarios. Such limitations highlight the need for a better clinical practice approach. A proposed solution would be to use evidence with real world relevant clinical practices; a paradigm of Practice-Based Evidence (PBE). With the key being evidence drawn from practice settings, PBE becomes highly practical and relevant to existing patient conditions. EHR hence plays a pivotal role in capturing relevant and meaningful information from clinical practices. Information surrounding patients such as intervention method, treatment processes and prescriptions are continuously recorded in EHR. Such valuable information becomes “evidence” that can be used to assist healthcare professionals make effective and timely clinical decisions such as providing alternative treatment, which is recorded in EHR but not found necessarily in a clinical guideline or notes. As shown in Fig. 1, integrated data from EHR is fed as the source for decision support system, enabling the clinical decision maker with information and assistance in making relevant clinical decisions. Hence, decision support is made easily accessible and in real-time. To evaluate the effectiveness of the proposed solution, comprehensive data from EHR will be collected and loaded into a data warehouse. It will be fed as a source to a decision support system to identify patients who are at risk of diabetes. This process involves the use of two datasets, one containing only patients diagnosed with diabetes and the other containing all different types of patients. By referencing to the information inherent in the diabetic datasets, patients in the second dataset who exhibit similar traits to that of a diagnosed diabetic will be alerted through the decision support system for further investigation. While there are other examples of Practice-Based Evidence approach such as Practice-Based Research Networks, the use of past health records as “evidence” to guide clinical care is something worth exploring. As illustrated in Fig. 1, EHR can be used as a resource to improve and guide care delivery instead of providing static historical information. The evidences drawn are not only from a single patient, but from multiple patients altogether, possibly providing a holistic overview of every possible spectrum of patient conditions, treatments and interventions. Kindly note that the document uploaded is an extended abstract. This paper presents the development and testing of an android application (Agri Lessons) to facilitate instructor-led informal learning in agriculture among a young farmer group. The study community consisted of a group of young farmers and an Agricultural Instructor as the facilitator. In a previous experiment, this evaluation was carried out using a twitter based messaging and non-smart phones to find out the effectiveness of mobile learning in agriculture. In this experiment, we are presenting a mobile app developed for Android based smartphones, to promote the informal learning. The paper also presents the evaluation of the app to justify effectiveness. The evaluation was carried out considering a pre-test and post-test to find out the knowledge gain. A questionnaire was used to collect the user feedback in an anonymous way. The statistics of evaluation shows that the Agri Lessons app as highly effective as a learning tool (t=6.885, p=0.000). The App can be further improved to modify the user interface, include a few more functionalities. In the future research this app can be improved to include multiple user groups among the farming community. This paper proposes a spectral clustering based methodology to classify video events and to detect anomalies. Feature trajectories from objects in a video are modelled, compared and clustered in order to classify the detected object events. Principles of normalized spectral clustering are used with modifications to affinity structure. A novel method for determining spectral clustering parameters based on Eigen structure of the affinity matrix is introduced. Employment of unsupervised learning for event classification is made possible by the proposed successive cluster identity labelling algorithm. A mechanism to identify abnormal events under the context is also introduced. The effectiveness and the robustness of the proposed methodology are demonstrated through experiments conducted on video streams focusing on human motion patterns. Integrating Semantic Web concepts and Technologies into the domain of e-business is a hot topic, however there are only a few such e-tourism applications that we are capable of finding out there. This forces travelers from all across the globe to depend on tourist applications that provide them with more or less the same trip itinerary to a said destination. This is mainly due to the fact that traditional systems depend on closed or limited data corpuses, which has brought out the sheer need for a change, where travelers are capable of planning context-based, personalized trip plans to any destination they desire. This paper proposes the design of a tourist information system, whose main goal is to provide travelers visiting Sri Lanka with a trip plan, which is personalized, up-to-date in the form of information about accommodation, points of interest and transportation. Semantic technologies are used to help match between the offerings of the system and the tourists’ travel preferences. One of the main objectives of this work is not only to minimize the travel time between certain points of interest, but also to maximize the tourists’ trip satisfaction. The integration of travel information from heterogeneous touristic data sources ensures the consistency of the system. A suitable trip-planning algorithm is intended to be used in order to generate the optimal route for the destination that the traveler wishes to explore. The intention is to generate a grounded theory about the extent to which semantic technologies can assist in the creation and integration of a consistent and user-oriented web-based tourist information system. Vehicle detection has received much attention over the recent years. In this paper we mainly address on the detection of cars in front-view static images and focus on local features that describe structural characteristics in particular. Our method is based on constructing visual vocabularies for the car and non-car objects (i.e., background). Extended speeded up robust features are used in constructing the vocabularies using K-means algorithm. For a test car image, e-SURF keypoints are extracted and possible background keypoints are rejected in order to retain keypoints that of car by using a vocabulary voting strategy. The retained keypoints are then scanned using mean-shift algorithm to find a candidate bounding box of the car. The extraction of keypoints with vocabulary voting and the mean-shift searching technique are repeated to every scale of the down sampled test image. The set of bounding boxes found at every scale are then mapped in to the original test image and a non-maximum suppression technique is used to predict the final bounding box of the car. The system is evaluated on 25 distinctive vehicle classes with 20 images per class. Testing results show that the method has a high detection rate of 96.8% on front-view cars. The method is flexible and can be easily extended to other views such as side or rear view by modifying the visual vocabularies. A facial composite is a graphical representation of a human face according to eyewitnesses' description. The failure rate of suspect identification through facial composite sketch has been declared as 92.86% in the year 2014 in Sri Lanka. In order to overcome this situation an automated image processing based software solution will be introduced which includes 2D facial feature templates created for the first time targeting the local population. The aforementioned templates will be based on facial indexes, both used in previous similar research studies and newly defined indexes suited for the current study. This article examines three layers of interaction (Twitter's following-followers relationships, retweets and mentions) within a tight-crowd and affiliation network: the Catalan Parliamentarians' Twitter Network. The objective is to test if Twitter is opening communication between parties and enabling new leaderships or if it is reducing them to representatives of the same party or ideology and empowering party leaders. The study is based on a dataset spanning from 1 January 2013 to 31 March 2014 which covers following-followers relationships (4,516), retweets (6,045) and mentions (19,507) of Catalan parliamentarians. We use social network analysis and Gephi visualizations, jointly with multiple regression in order to explain which individual and network characteristics trigger a centrality position in the network. The data sustain that the political polarization is deeper in the relationship and retweet networks than it is in the mention and that even if party leaders are still at the center of communication flows, other parliamentarians are taking the floor and becoming network leaders. The use of Electronic Health Records (EHR) and its substantial growth of associated healthcare related data generate increasing volume of health information (volume) at an exponential velocity. These huge amounts of data are generated from a variety of information sources while the data sources originate from a veracity of clinical information systems and corporate data warehouses. The data derived from these data sources are used for analysis and trending purposes thus playing an influential role as a real time decision-making tool. Impact of Publication venues are the key consideration for researchers who aim for maximum possible visibility for their work. The number of publication venues has been increasing yearly, making it difficult for researchers to get an idea about publication venues. Most of the existing methods use citation count as the metric to measure the reputation of publication venues which does not take into account the quality of citations. If publication venue ranking scores are measured successfully, then the researchers can take their own opinion about a particular publication venue much quicker and easier based on this mechanism. We propose a novel approach for ranking publication venues by considering publication history. Our approach is completely based on the citation network represented by the publications. The experimental results show that our publication ranking method reduces the bias against more recent publications, which only have a few or zero citations. Cooperative research has been conduct to improve navigation services for vision impaired when they are moving through an indoor environment. This paper aims to propose a formal modeling approach helps facilitate map generation and decision making about navigation pathways avoiding obstacles. The proposed data model consist AccessBIM database and API functions. The AccessBIM features such as, database connection initiation, function call, function return and database connection termination are organized as a series of functions objects that meet the various needs of the database to maintain the relational schema. The proposed API primarily consists of two components namely; DB connector and the API functions. The level of realism in augmented reality applications is heavily dependent on the consistency of illumination between real objects and virtual objects. This paper presents a comprehensive methodology to model the real world lighting and synthesize it with virtual objects which are rendered. While there is a substantial body of knowledge on this aspect, the novel methodology suggested in this paper has its own advantages of not having to have any prior knowledge on the environment or any special hardware, which increases the usability of the system while making it possible to be utilized in online systems. Business intelligence and analytics, and big data analytics have become increasingly important in describing the data sets and analytical techniques in software applications that are so large and complex. These two techniques have been used as analytics by several e-commerce communities. For example, vendors such as Amazon and eBay have adapted these techniques to significantly advance in innovative and highly recommended scalable e-commerce platforms and product systems to target potential customers thus increasing business revenues. In a similar context, the health community have experienced not only more complex and large data content, but also information systems that contain a large number of data sources with interrelated data. Furthermore, due to the increasing diversity and differentiation of expansions by service providers in the form of primary or nursing care, a variety of service organisations in the public and private hospital networks including new medical specialist facilities have resulted in challenging, and highly dynamic environments resulting in the creation of big data with its enumerate complexities, for instance sharing information with expected security requirements of stakeholders. Therefore, the health community will have to adapt the concept of big data analytics in order to solve major issues that have occurred due to complex shared information. When comparing big data analysis of other business sectors with that of the healthcare, the health sector is still in its early stages due to numerous reasons. Key challenges faced include accommodating the volume, velocity and variety of healthcare data. Identifying platforms that examine data from multiple sources, such as clinical records, genomic data, financial systems, and administrative systems is another prerequisite challenging task for this analysis. Furthermore, there is difficulty in the acquisition of skilled data analysts in healthcare to transform data to information and knowledge to investigate useful data patterns. An identifying of the challenges faced by the healthcare sector is a major prerequisite for big data analysis which affects the efficient healthcare decision-making process to support Healthcare Industry as a whole. According to current studies, Electronic Health Record (EHR) is a key information resource for big data analysis and is also composed of varied co-created values. The notion of co-created values refers to diverse healthcare information which creates actor groups that have different access levels. Furthermore, the co-creation value modelling facilitates understanding of the relationship for other data sources because healthcare services often serve as an integrated service bundle. Successful integration and crossing of different subfields of healthcare data such as biomedical informatics and health informatics could lead to huge improvement for the end users of the health care system, i.e. the patients. This Study comprises of identification of data sources, point of information extractions for clinical and healthcare decision-making and analysis of Information Exchange measures using predictive, descriptive and prescriptive analytics. The research methods aim to implement six to eight months’ longitudinal studies from selected private hospitals and government hospitals in Sri Lanka when identifying healthcare information sources and its transmission. According to the clinical data obtained, the modified design of EHR which facilitates the clinical and healthcare decision making should be developed with using appropriate analytic method. A systematic approach containing comprehensive guidelines with the correct data must be provided to apply and evaluate big data analysis until the necessary decision making requirements are fulfilled to improve quality of healthcare service delivery. In this research, the healthcare information sources and their transmission will be examined while quality Healthcare data analytics is implemented. This will facilitate the information flow from a public to professional view while the Information exchange measures are implemented. This research study will find a systematic healthcare data analytics approach to investigate potential approaches or analytic tools appropriate for analysing healthcare big data focusing on EHR. The research will specify how EHR could be adopted to meet the requirements of being a key information source for big data analysis. Furthermore, approaches to link other data sources with EHR in order to fulfil the identified major analytic requirements in healthcare services towards further improvements will be identified. Overall, this proposed study will outline the set of comprehensive guidelines to be adopted by EHR in order to provide quality information using healthcare big data analysis to improve the quality of life for patients. The use of computing technology in the area of education has been observed in various areas. The advancement of mobile technology has paved way for new learning experience through mobile learning opportunities. In Sri Lanka the low proficiency of English Language has been a rising issue among young school leavers. Most of the educational programs initiated based on this issue shows low effectiveness. While analysing the options to cater this need, we identified mobile technology as an opportunity due to the acceptance of mobile devices among the society. This study presents the background analysis of initiating m-learning among the young adults of Sri Lanka in the area of English Language Learning. Activity theory is applied in studying the entire social and technical system relevant to the area of introducing m-learning for English Language Learning for School leavers. Demand prediction in mobile communication sector can benefit both the service providers and the subscribers and is highly desired in modern telecommunications. However, the factors which determine the demand is not well known, especially the social factors. At the same time, due to the high degree of non-linearities in the relationships between the known factors and the demand, most of the simple prediction methods do not provide an accurate result. This paper first identifies the social characteristics based demand deciding factors and then proposes an artificial neural network (ANN) based demand prediction approach. The key idea behind this ANN is the multi-layer perceptron trained with error back propagation. The application of ANN approach separately to train two neural networks based on social characteristics based factors and the technical factors proves to be very accurate. Moreover, the ANN using technical factors as inputs, outperforms most of the existing such demand prediction schemes at present. Out of many issues we face in transportation today, road traffic has become the most crucial issue that directly affects our lives and economy. Despite of many implemented and progressing solutions, this issue seems to be remaining in a significant level in many countries and regions. Instead of fully relying on solutions provided by the authorities, public has come up with different approaches to deal with this problem. In this study we are focusing on one such solution which effectively uses a popular social networking service, Twitter. But still this crowdsourced traffic alert service has a limitation due to its nature; the natural language representation. We are trying to cope with this limitation by introducing a real time natural language processing solution to generate machine readable road traffic alerts. We observe many potentials of transforming this raw data into a machine readable format. An architecture that can effectively capture, transform and present this data has been proposed in this study and it has been implemented in a prototype level to demonstrate the uses of such model. We expect to see extended models that can handle similar issues in future by combining multiple fields of information technology. Providing a quality education is a challenging task to both teachers and administrators in the university environment. In higher educational system, the students are supposed to gain an in-depth knowledge on subject matter in a course. Online and face-to-face education have different techniques that could be combined together in a blended environment for educating the undergraduates. The intention of this study is to identify effective ways to develop the Student-Centred Learning for students who are following courses in a blended environment. A final year course of undergraduate students was selected as a case study to carry out the investigation. The selected course was designed considering both continuous learning activities for formative assessment and individual and group work for summative assessment. According to the analysis of different data gathered together with students’ feedback, we present the effectiveness of the course design. This paper also justifies the importance of ICT enabled environment in teaching and learning to implement the student centred learning. Domain specific modelling languages (DSMLs) have gained increasing popularity: they are convenient, support the productivity of modelling, and help to increase model quality and comprehensibility. Some work has been published about how to use or evaluate a DSML. In contrast to that, there is hardly any guideline for the DSML creation process and almost none for creating a Domain Specific Modelling Method (DSMM). This paper aims at contributing to fill that gap: it introduces a process for creating a DSMM. For illustration it uses a modelling language that has been created for the domain of Ambient Assistance.